We are teaming up with Pirate Adventures on the Chesapeake this season to get your family the deal of the summer! 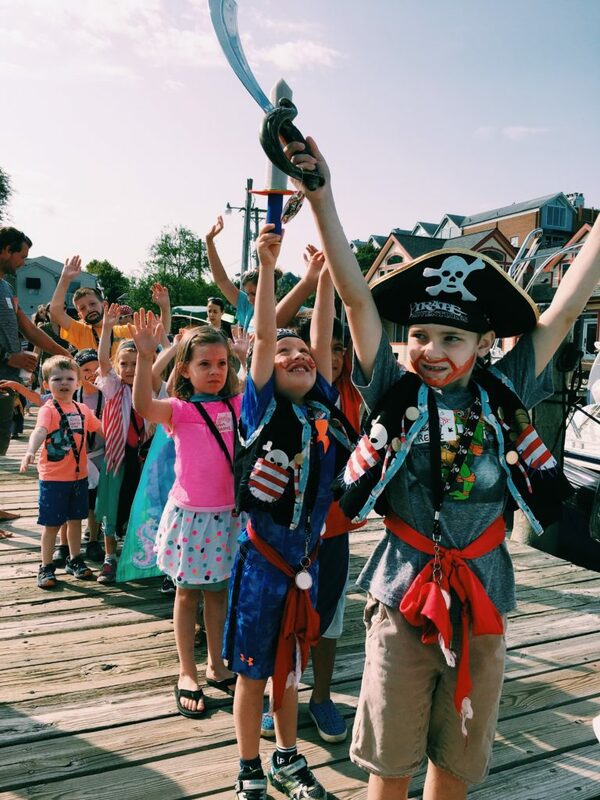 There is no better way to get your family out on the water then embarking on an adventure aboard the Sea Gypsy or the Sea Dragon in Annapolis. Immerse you child in the world of Pirating and set sail in search of new memories while searching for sunken treasure, reading a message in a bottle, and manning the water cannons to defend your bounty! Or cast off on our hands on Fishing & Crabbing Adventure (catch & release) catered to your young ones to discover all the marine life Annapolis has to offer! Save 10% off when you purchase Two or Four Tickets at Pirate Adventures/Family Fishing Adventures at the same time. Tickets do not have to be used on the same day for both adventures. Purchasing the two ticket combo will give you two tickets to each Adventure, four ticket combo will give you four tickets at each adventure. Click the button below, a new window will pop up at Pirate Adventures website to collect payment. Parking: Pay to use the parking deck or find street spots. Boat Slip/Check in: Located below the Carrol's Creek Restaurant.